For my PhD thesis I am co-supervised by Robert Carroll and Hans Larsson. My research deals with branchiosaurids, small gill-bearing amphibians from Upper Carboniferous and Lower Permian fossil lake deposits of central Europe. Those serve as a basis for the study of patterns of ossification and the life history of branchiosaurids in comparison with modern amphibians. Moreover, I am also looking at the influence of environmental factors on the life history and morphology of salamanders and their possible correlations in branchiosaurids. 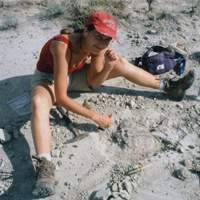 For my diploma (MSc equivalent) thesis at the University of Bonn (Germany), I described a new species of the middle Triassic ichthyosaur genus Cymbospondylus from the Augusta Mountains of Nevada. I have continuing interest in marine reptiles, e.g. Ichthyosaur phylogenies and the origin of the Ichthyosauria. 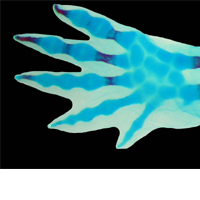 Furthermore I am working on projects involving experimental embryology in salamander limb development and chondrichthyan embryology.